If you are wondering if you should hire a criminal defense lawyer, that is often a very strong indication that counsel is needed. Before making the decision to hire, The Frey Law Firm offers initial, no-risk, consultation. Generally speaking, the sooner an attorney or law firm gets involved in a situation, the more effective the representation can be for the client. There is perhaps nothing more frustrating to a client than learning that certain things that could have been done, or should have been done, cannot now be accomplished due to the passage of time. Whether it is the preservation of evidence, the ability to identify and interview witnesses, or the opportunity to make strategic decisions that can have a positive impact upon the circumstances going forward, the earlier an attorney gets involved in a matter, the more impact they can potentially have with respect to the overall outcome. There is a great deal of discretion within the criminal justice system. That discretion tends to lessen as a case progresses. For instance, when a person is stopped by a police officer on the side of the road for a speeding violation, the officer may choose to site the driver or give a warning. Similarly, in cases that are under investigation, even situations involving potential felony charges, both law-enforcement and prosecutors have a great deal of discretion as to what charges will be brought, if any at all. If there is any way to avoid a charge, or any steps that can be taken to minimize the exposure, it is imperative that those steps be taken in a timely manner in order to attempt to secure the best possible outcome. Too often clients come to the law firm and indicate that they were subject to a search warrant sometimes many months, or years, previously. They indicate that they were not arrested or charged at the time of the search warrant execution and hoped it would simply go away. Then, seemingly out of nowhere, they are indicted or charged with a criminal offense. The opportunity between the execution of the search warrant and the filing of the criminal charges to have an impact upon the direction of the case is lost forever. Further, any opportunity to strategize, communicate with law enforcement or prosecutors, prepare a defense, or prepare mitigation is severely limited due to the passage of time and the urgency of the charge now at hand. Do not waste that valuable time. If you feel that you may need a criminal defense lawyer, it does not make sense to wait. The prudent approach is to contact a criminal defense attorney in order to discuss the situation and determine what steps can or should be taken. To better serve our clients, the Frey Law Firm offers a free initial consultation to potential clients and those seeking representation by a Criminal Justice Attorney. In anticipation of representation, the communications are confidential. Tampa Criminal Defense Attorney Frey will explain the confidentiality provisions with you in greater detail. Instead of wondering whether you should hire an attorney or attempting to research your particular situation on the Internet, take the prudent step and contact Attorney Frey for a free initial consultation. We will review the circumstances of your case and advise as to what possible steps may be warranted. In the event the Frey Law Firm is unable to take on your case, we will ensure that we will refer you to other attorneys who may be in a position to assist, or refer you to a lawyer referral service. Stop worrying. Stop wondering what may or may not happen next. Stop guessing. 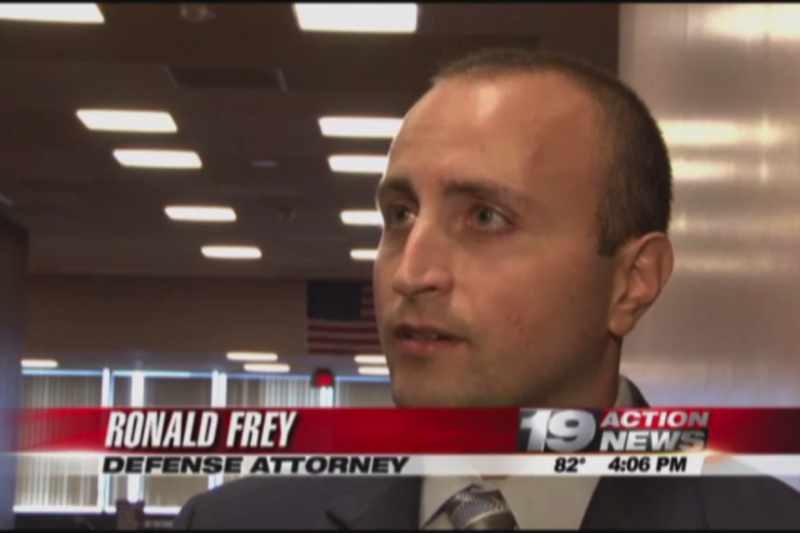 Take control of the situation and contact The Frey Law Firm for a free initial consultation.